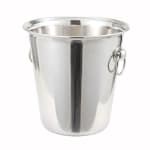 The Winco WB-4 wine bucket keeps bottles of alcohol chilled in 4 quarts of ice. It is excellent for room service, table-side service, and other applications. 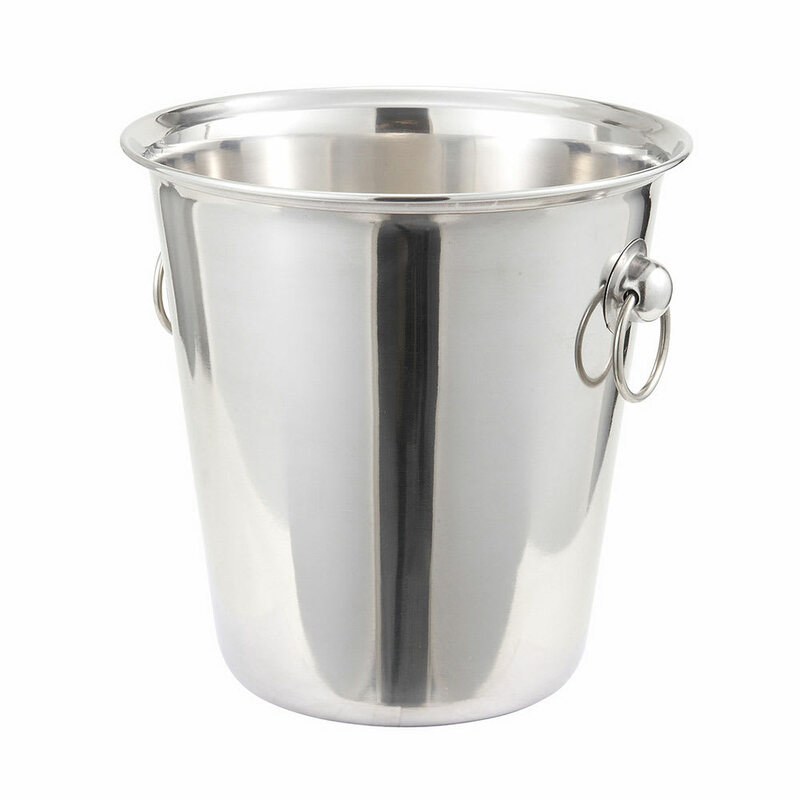 Constructed of stainless steel, this bucket is resistant to corrosion and dents. "Wine of choice on ice in shiny buckets on every table imparts a festive and welcoming atmosphere! In my operation, I paint clusters of grapes and..."
"Wine of choice on ice in shiny buckets on every table imparts a festive and welcoming atmosphere! In my operation, I paint clusters of grapes and scenes of vineyards and even glasses of wine on the buckets! Even without my embellishments, the shiny buckets pick up the reflection of pretty tablecloth or the images of each place setting!"